Ideal for users in the military/DOD, Law Enforcement, and Field Serveice, the DURABOOK U11 provides protection from drop, shock, vibration, rain, dust, sand, humidity, freeze/thaw, high/low temperature, temperature shock, electromagnetic interference and explosive atmosphere. 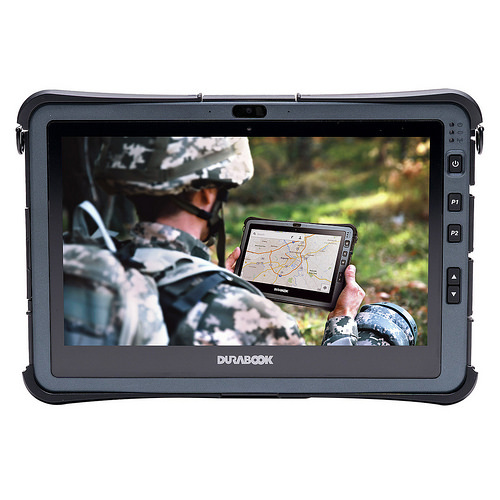 The U11 is the only 11.6” rugged tablet with a quick-release SSD, making it easy for DOD customers to remove and store sensitive information. The device features an Intel® 7th Generation CPU, Windows® 10 Pro, a full HD sunlight readable LCD, 4-16GB of RAM, 128-512GB SSD, and world class connectivity options, delivering maximum performance in a package that can take a serious beating.